You’ll now be able to have clients sign proposals online with the new built in electronic signature feature. Included in this newest update is an easier way to organize your fees/sections as well as full mobile support if you’re running iOS 5 on your iPad or iPhone. 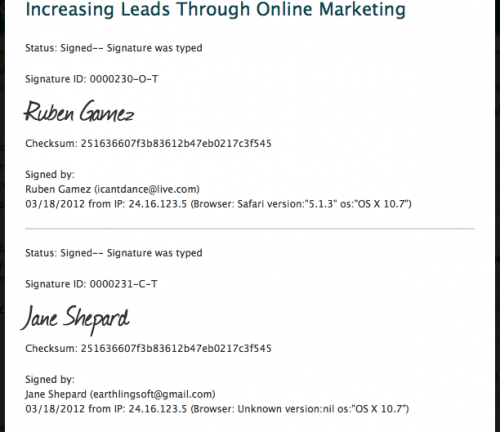 If you’re able to get your clients to view proposals online you’ll get some great benefits from using the built in electronic signature feature. 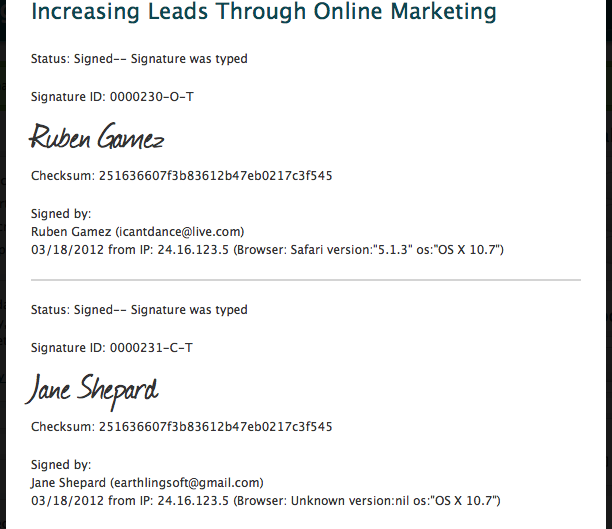 The main benefit: Getting a signed proposal is much faster because they don’t have to print, sign, and fax it back. A great side benefit is that clients love the convenience of going paperless so it’s a great way to start a new client relationship. 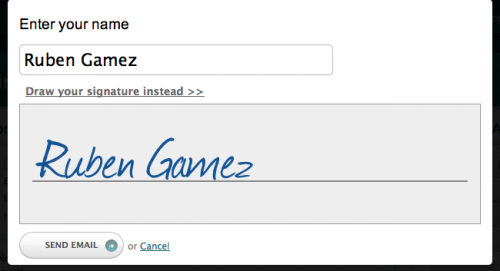 RightSignature integration will still work but you can only use one or the other. If you have RightSignature integration enabled, it will override the built in electronic signature feature. 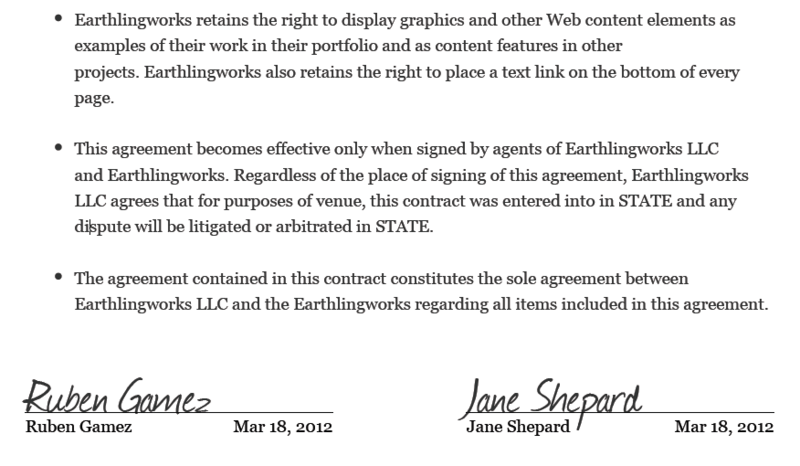 Once a proposal is signed it can no longer be edited but you can still copy/delete the proposal. This ensures we’re in compliant on the legal side of things. 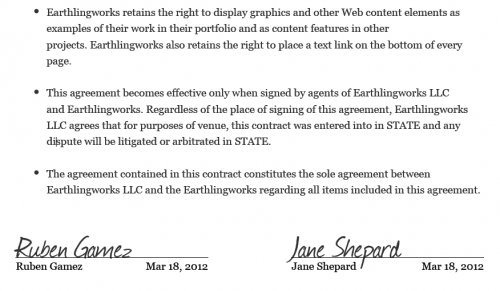 You can read the legal details here if you have any questions about whether it’s legally binding. 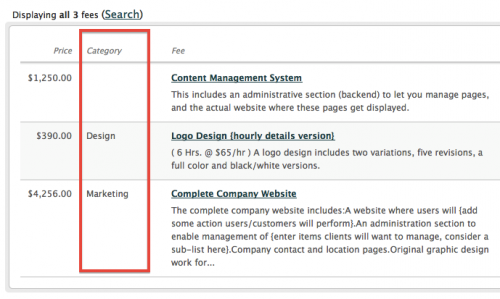 This feature is available to the following plans: Studio, Premium, Business, and Agency. 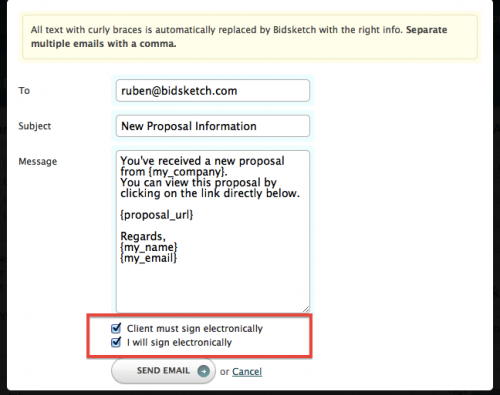 I’m often told that being able to easily reuse content to create proposals is one of the best things about Bidsketch. 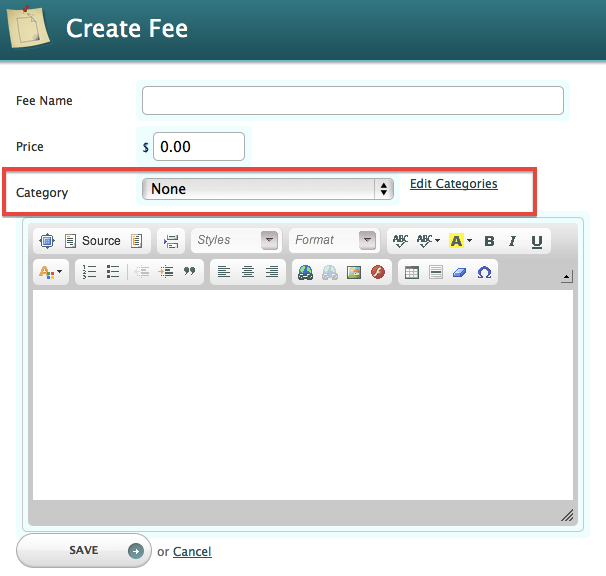 I’m happy to report that we’ve made that even easier by introducing fee and section categories. 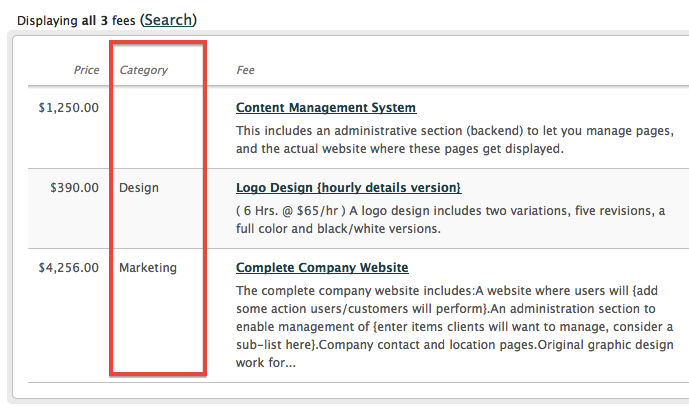 Note that categories will help you better organize your sections and fees so they won’t appear on the proposal itself. If you have an iPhone or iPad running iOS version 5 then you’ll be able to use all features within Bidsketch. 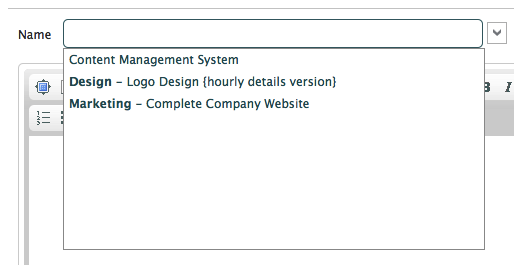 This includes, creating, editing and sending proposals. Your clients will also be able to view, accept, and export to PDF. The biggest hurdle with providing mobile support on for Apple devices was the HTML editor support within the operating system. This latest version of iOS finally lets us use the same HTML editor you can use in desktop browsers.